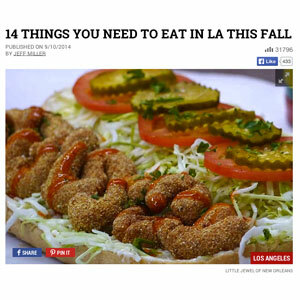 Our sandwiches come dressed with a lot of mayo. 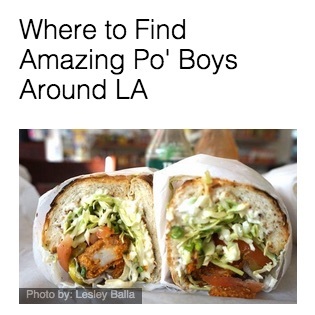 If this isn't your flavor, let us know! 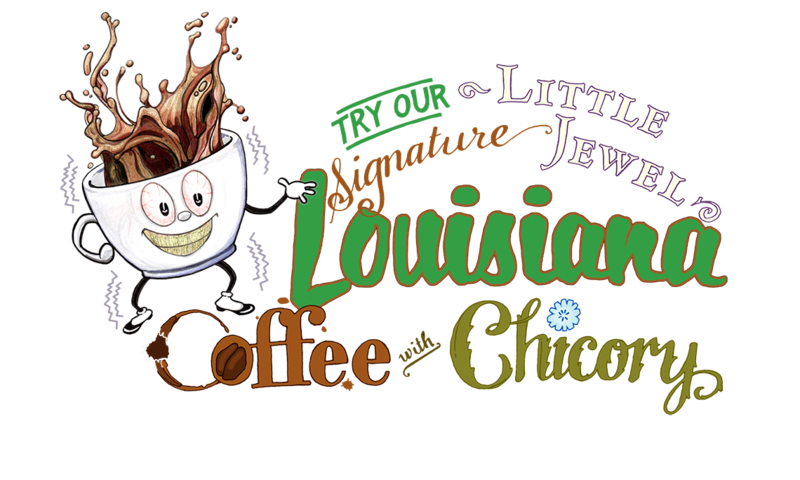 Red Beans & Rice9.99Every Monday. 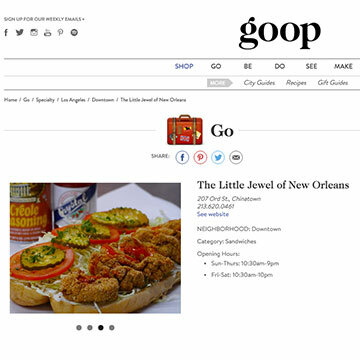 Add grilled house andouille link for 2.99. 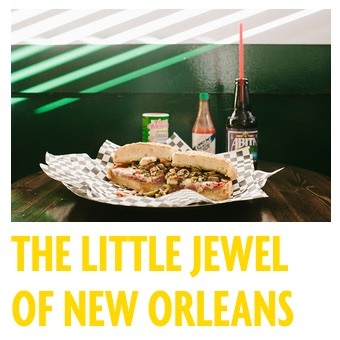 The market at The Little Jewel of New Orleans carries essential as well as obscure New Orleans, Louisiana, and Southern Regional products, with an emphasis on spices, mixes, sauces, and regional beans! 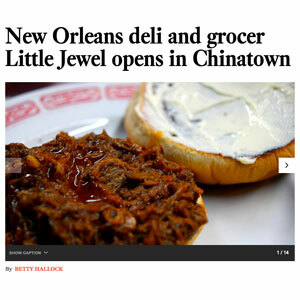 Everyday convenience items for the residents of the neighborhood are stocked as well. 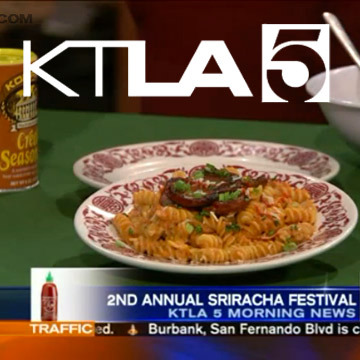 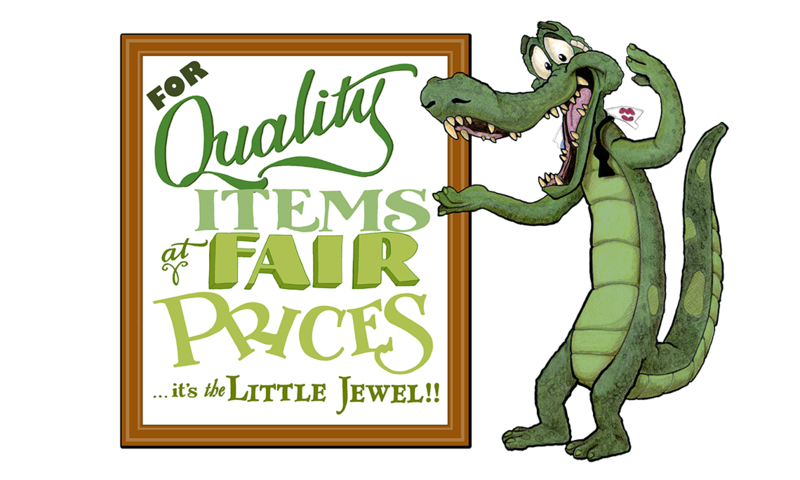 Some of the brands we carry are: Konriko/Conrad Rice Mill, Slap Ya Mama!, Tony Chachere, Chef Paul Prudhomme, Louisiana Brand, Cafe du Monde, Savoie's, French Market, Zapps, Community Coffee, Benoit's, Old South, Cajun Chef, Trappeys, Blue Runner, Bayou Magic, Camellia Beans, and Blue Plate Mayonnaise. 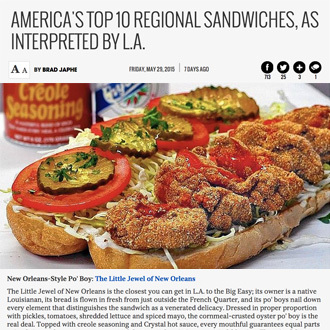 Also, be sure to check out our deli case featuring house-made Cajun and Creole sausages including Chaurice, Andouille, Boudin Blanc, New Orleans Style Italian Sausages, Louisiana Hot Links, and Tasso! 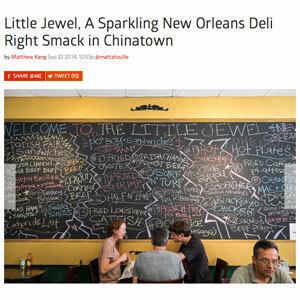 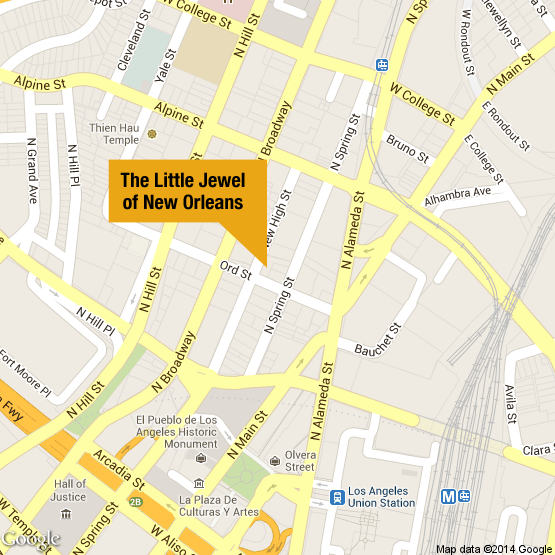 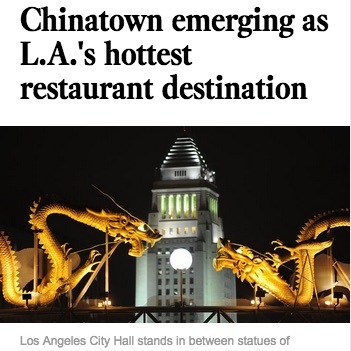 The Little Jewel of New Orleans is located in Historic Chinatown, just north of Downtown LA. 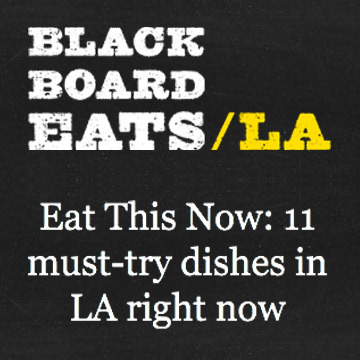 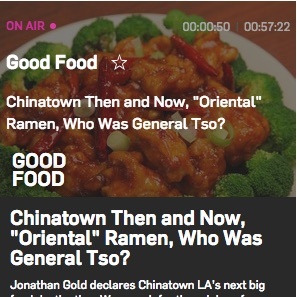 Last 30 minutes, take out only. 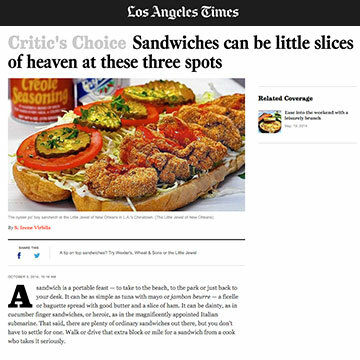 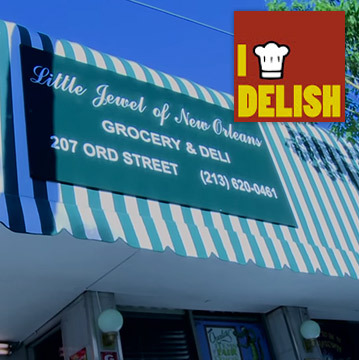 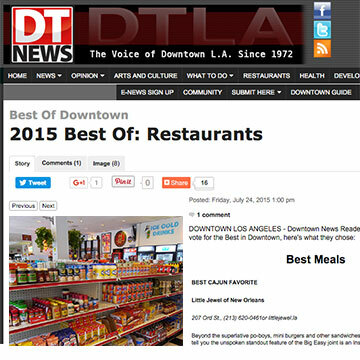 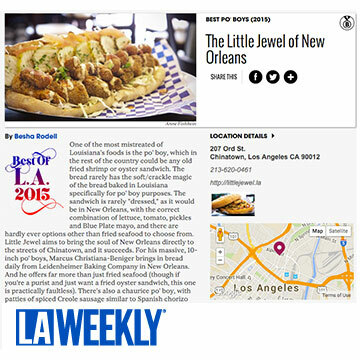 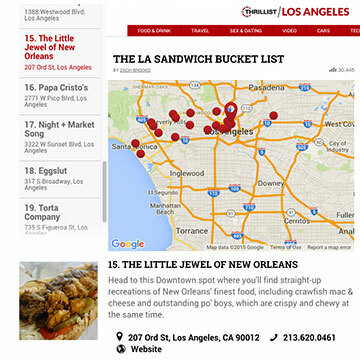 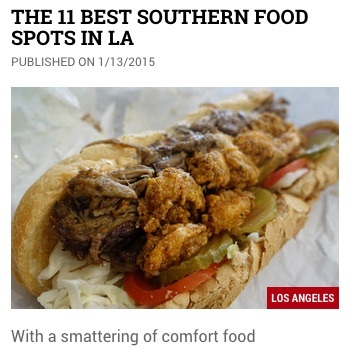 The Little Jewel of New Orleans Grocery and Deli is a DTLA based Southern market and delicatessen, which draws its influence from the rich and varied culinary traditions of the City of New Orleans. 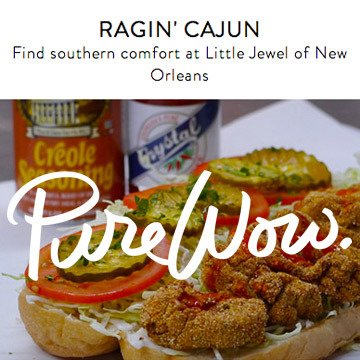 Catering to an eclectic clientele, our market strives to make available many of the popular as well as "harder to find" items from Louisiana (and the South in general), while offering everyday convenience items to the public at large. 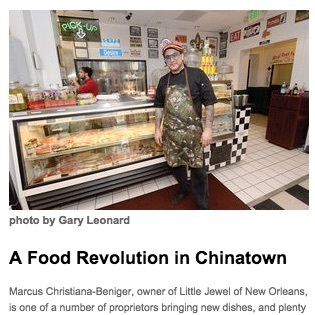 Authenticity is paramount at the Little Jewel of New Orleans, and all of our sausages and cooking meats are made in-house (Boudin, Andouille, Chaurice, Hot Sausage and Tasso) , as are our baked goods, desserts, and dressings. 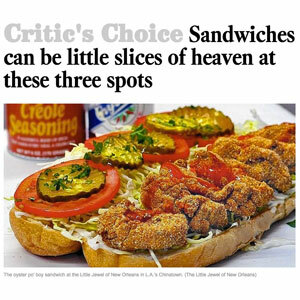 Regional Spices and Sauces, Zapp's Potato Chips, Camellia Beans, Community and Cafe du Monde Coffees, Blue Plate Mayonnaise, and a host of other Crescent City favorites are all available. 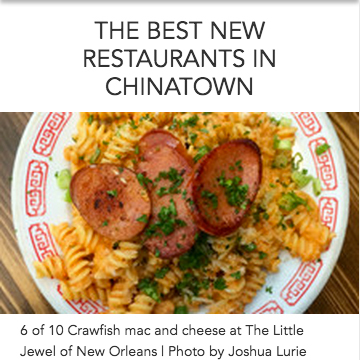 So come on down to Old Chinatown to the striped green and white awning at 207 Ord St. (between Spring and New High), where the music is ALWAYS PLAYING, and Laissez les Bon Temps Rouler! 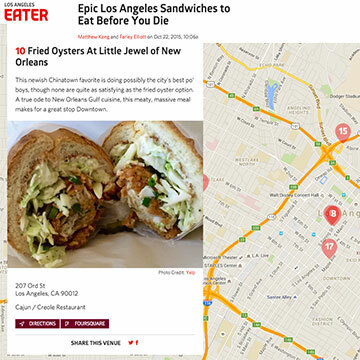 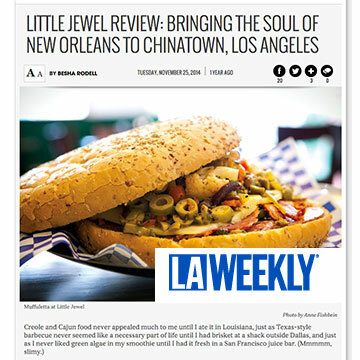 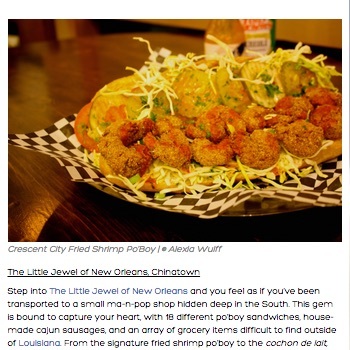 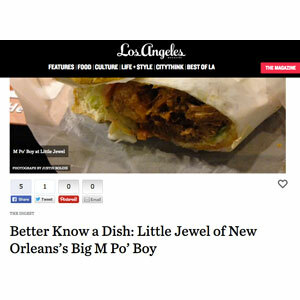 "The Little Jewel of New Orleans slings jambalaya and fried-oyster po' boys in the former Hoy King space down on Ord Street, where chow mein used to rule..."
"The Little Jewel of New Orleans is the closest you can get in L.A. to the Big Easy." 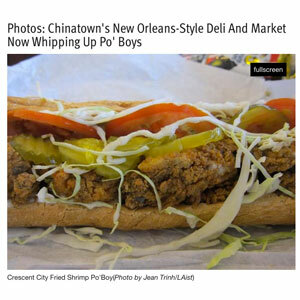 "This market carries all the comforts a homesick New Orleans native would crave..."
"When the craving for a real po’ boy strikes, this cafe and marketplace in the heart of Chinatown is about as close to NOLA as you can get in LA..."
"The only drawback to ordering a po' boy from Little Jewel is having to decide between a dozen gems of authentic awesomeness..."
"Not quite a year ago, a crisp green-and-white awning sailed up above the entrance of what used to be a down-at-the-heels Chinese restaurant on Ord Street in Chinatown..."
"Step into The Little Jewel of New Orleans and you feel as if you’ve been transported to a small ma-n-pop shop hidden deep in the South..."
"Jonathan Gold declares Chinatown LA's next big food destination..."
"One of the most beloved-yet-under-the-radar openings of the last year, TLJoNO aims for and accomplishes straight-up recreations of NoLa's finest food..."
"NOLA hits L.A. with its unofficial sandwich. 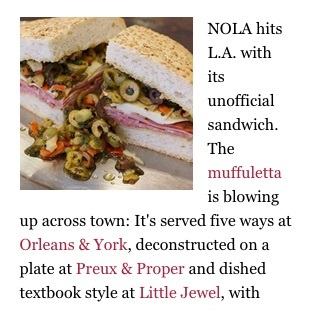 The muffuletta is blowing up across town..."
"The Little Jewel of New Orleans is a regional deli and grocer located in the heart of Chinatown, an enclave of the French Quarter in our backyard..."
"Marcus Christiana-Beniger, chef-owner of Little Jewel of New Orleans, has lived in Downtown for nearly 18 years and opened the restaurant at 207 Ord St. in August..."
"For anybody homesick for authentic po' boys, this is the place..."
"There is lots of attention to detail. 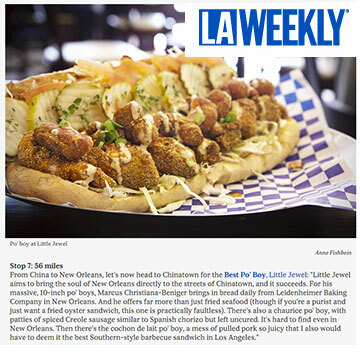 Sausages will be made in-house: andouille, hot links and boudin blanc..."
"The Little Jewel Of New Orleans, which's busting out ultra-legit amazingness like Crescent City fried shrimp po' boys..."
"Christiana-Beniger and wife Eunah Kang have opened up this sweet little transplant from the Big Easy featuring a slew of house-made staples that would be commonplace in New Orleans..."
"They don't skimp on the the fillings of their gigantic 10-inch po'boys, and if you get their Irish Channel Roast Beef Po'Boy, just know that you'll need some extra napkins—maybe even a bib..."
"Sink your teeth into Christiana-Beniger’s Big M Po’ Boy, a sandwich so massive in size that you could potentially cradle it like a baby..."
"It’s rare enough to find good New Orleans fare anywhere in town--but since we visited the Little Jewel of New Orleans, we can’t wait to go back for seconds." 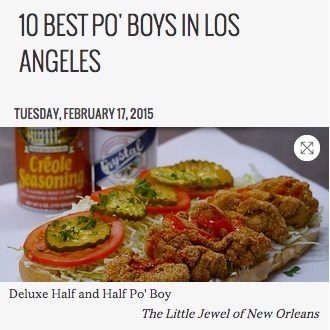 "No New Orleans food story is complete without a po’ boy, and Chaurice may be The Little Jewel’s best. " 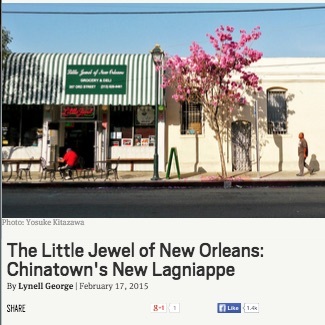 © 2019 Little Jewel of New Orleans All Rights Reserved.